Chris Marsicano is a Food & Beverage Director in the truest meaning of the title. Born into a large family of Italian immigrants, Chris grew up in a kitchen. He started cooking by age 13, and by 15 was working in a local grocery as a butcher. When he was 17 he took a job as a fry cook and had worked his way up to kitchen manager before he was 20. At the young age of 21 he was given the opportunity to study under Chef Marty Blitz in Tampa and he took a 2nd job as an audio engineer at a local rock club. One night when the club was shorthanded, a bartender suddenly quit and Chris was thrust into the world of Bartending. He continued cooking but in 2010 at the age of 25 his friends Arthur Horocki and Dean Hurst started planting the seeds that he could be more than a club bartender. 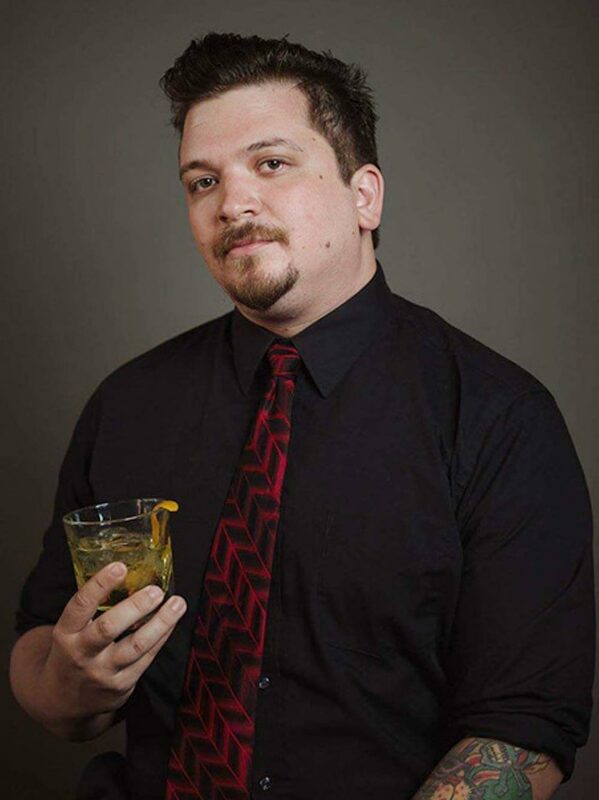 By 2012 Chris transitioned to FOH strictly to focus on stepping up his cocktail knowledge. Splitting his time between Nashville, New York, New Orleans,, and Tampa over the next 3 years allowed him to accelerate his education and study with some industry giants. By 2014 he was making a splash at Tales of the Cocktail and the Repeal Day Conference heading up the Main bar for that years Gala. And then tragedy struck. Just 2 weeks after Repeal Day, Chris was in a horrific motorcycle accident that left him unable to work for 8 months. After his recovery he decided to make Nashville his permanent home and accepted a job as Food & Beverage Director at the Hotel Indigo. He spent 8 months at the Indigo before passing the program on to longtime friend and right hand man Woody Willis. Chris then spent the next 18 months consulting on bar programs around Middle TN as well as completing the CAP program in 2016, attending Runamok, and opening the critically acclaimed Henley with Jon Howard, Ryan Puckett, & the rest of the all star Henley bar staff. At the beginning of 2018 Chris was offered the director position for the Nashville City Club and given a chance to bring their food and beverage program into the modern age. His first menu is due out early April, but the tasting and test menus that have run so far this year are extremely promising. We wait to see what the future has to hold.